The Evolution of Society and Culture. Star Trek shows us many societies and cultures, and we see how the Prime Directive attempts to protect them from contamination. But it isn’t always possible to avoid contact with another culture, and episodes such as “Blink of an Eye” and “Who Watches the Watchers” illustrate how a society can be changed by a single event. And episodes such as “Workforce,” “Samaritan Snare,” and “Tapestry” show how how memories can affect a society or an individual. 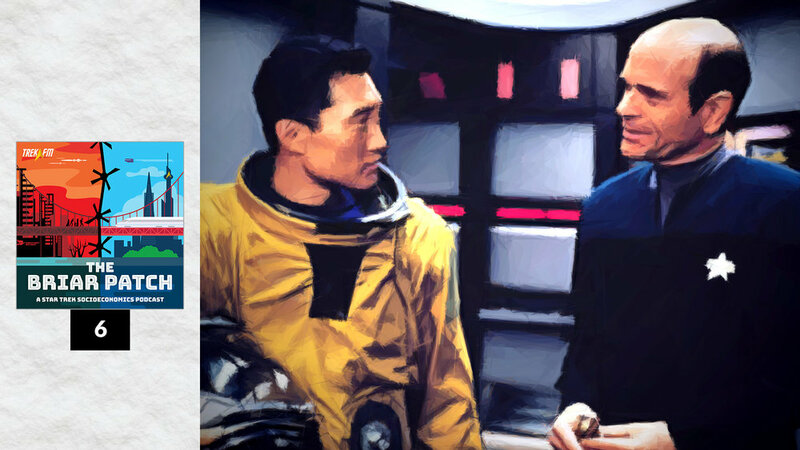 In this episode of The Briar Patch, hosts Patrick Devlin and Guinevere Liberty Nell discuss how social and cultural evolution is addressed in Star Trek and how the franchise approaches the question of who should have a say in what happens within a society.